Our original wall poster of the movie Alien ! 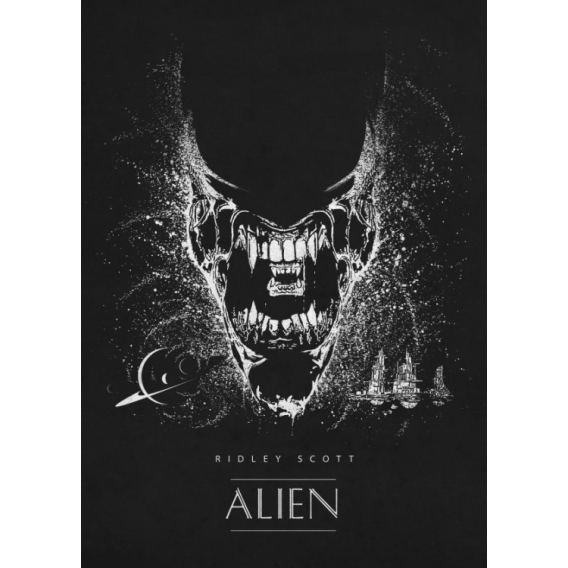 This Alien Covenant metal poster comes with its magnetic hanging system. 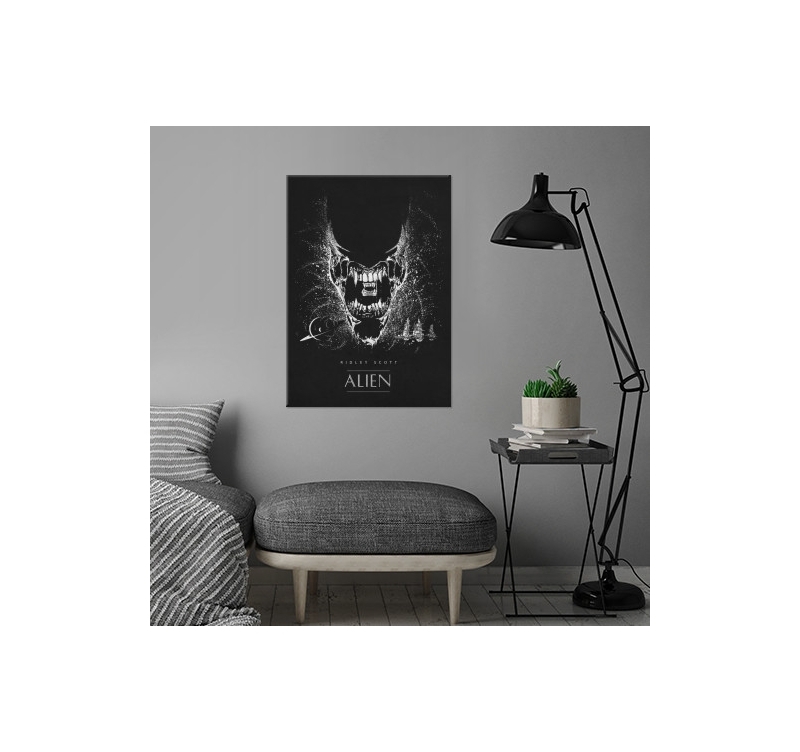 The dimensions of this Alien wall poster are 48 x 67.5 cm. 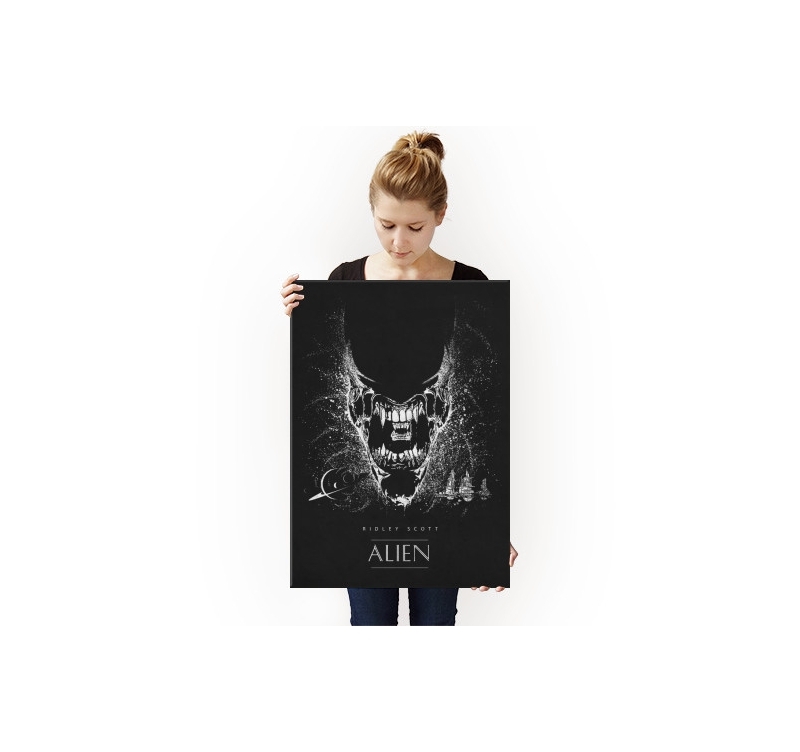 Completely free deliveries in metropolitan France and Belgium for this giant poster Alien. The crew of the ship, to a planet deep in our galaxy, discover what they think is a paradise still untouched. 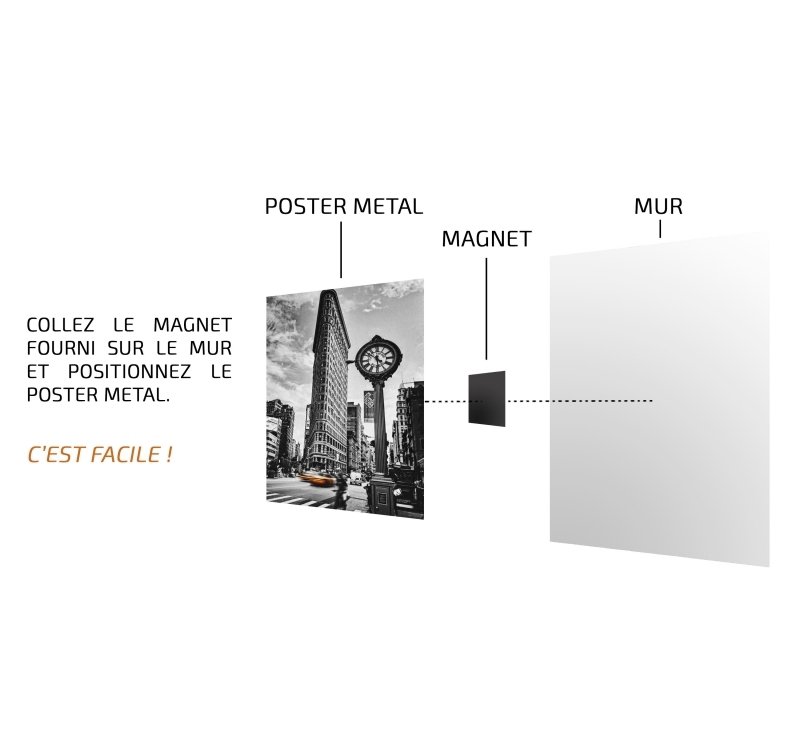 It is actually a dark and dangerous world, hiding a terrible threat that comes in this metal wall poster. This black and white metal poster will give a scary cinematic touch to your home decor. 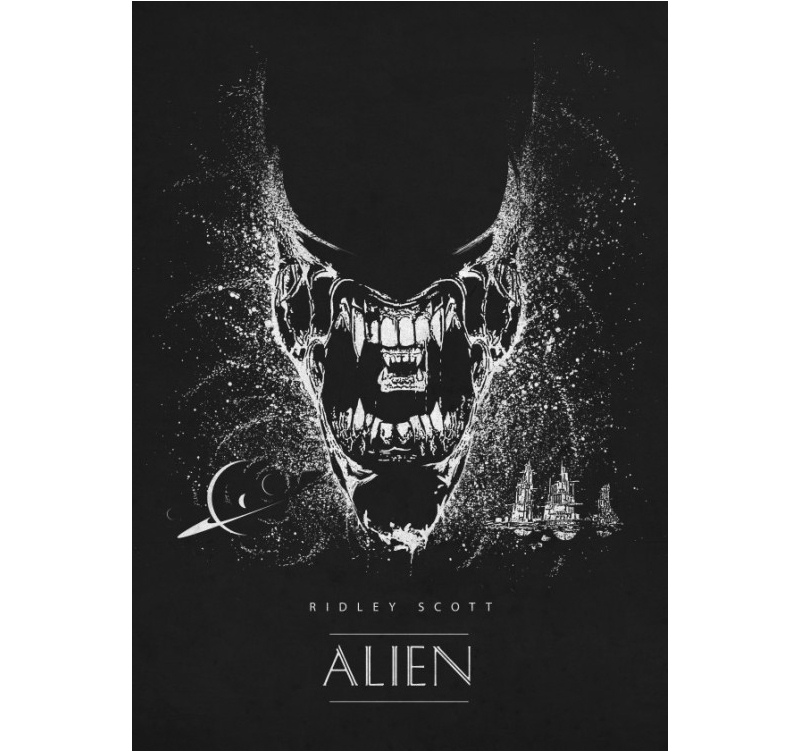 This wall poster was made by our artists to offer you the poster of the movie Alien in an original version. 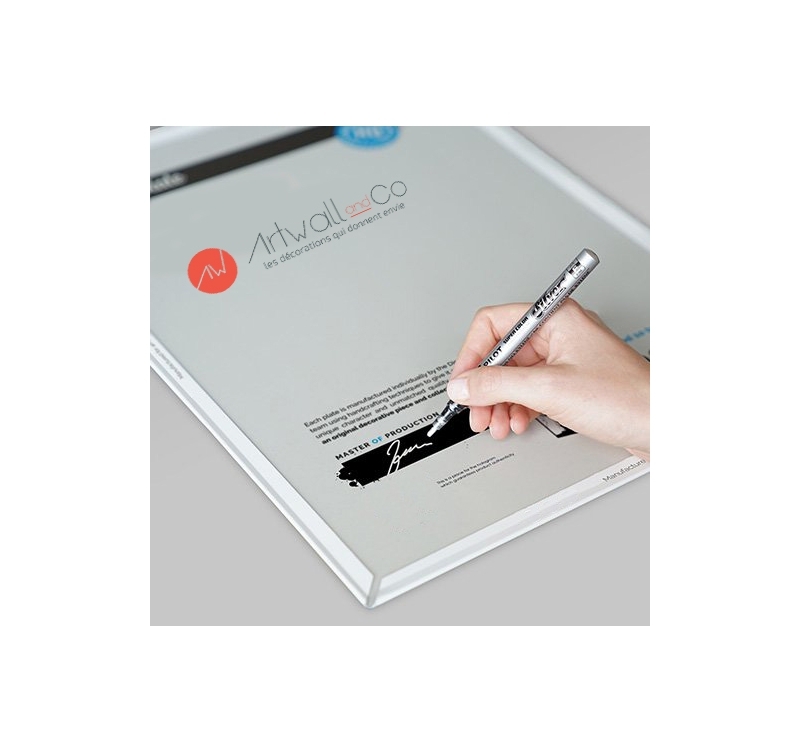 A hologram is placed behind the giant poster collector with the signature of our production manager to authenticate the work in real collector's item. The purchase of this metal poster allows you to directly support the artist who created it.